A Science Party They Will Remember Forever! Chemistry, geology, paleontology and more! Each party package lasts for approximately 1 hour and 15 minutes and is priced at $250 for 15 children. Our parties run every Saturday at 11:30am and 2:30pm for children ages 6-10. We may be able to accommodate additional dates and times, upon request. We do not offer parties on long weekends, sorry! Looking for a unique party favor? Look no further! 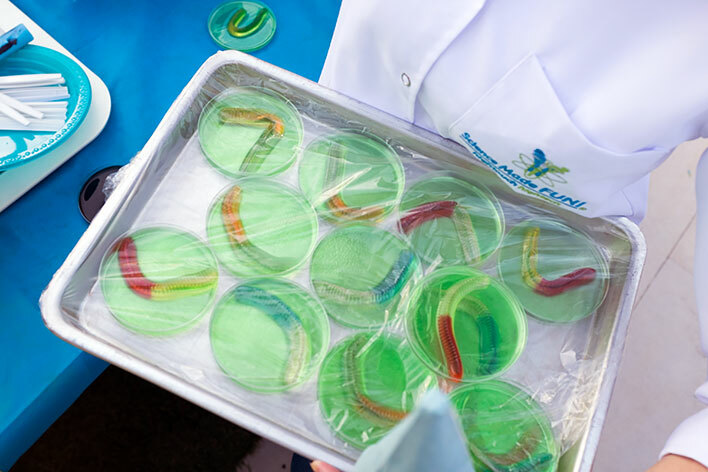 We also provide Lab Loot Bags (goodie bags) which include take-home experiments: sink or float rocks, gummy candy ingredients, prism glasses, spin top, silly bandz and glow bugs for just $5 a bag. Why let the fun end at the party? With our Lab Loot Bags, your guests can take home the fun! Looking for a unique kids party idea? Look no further! 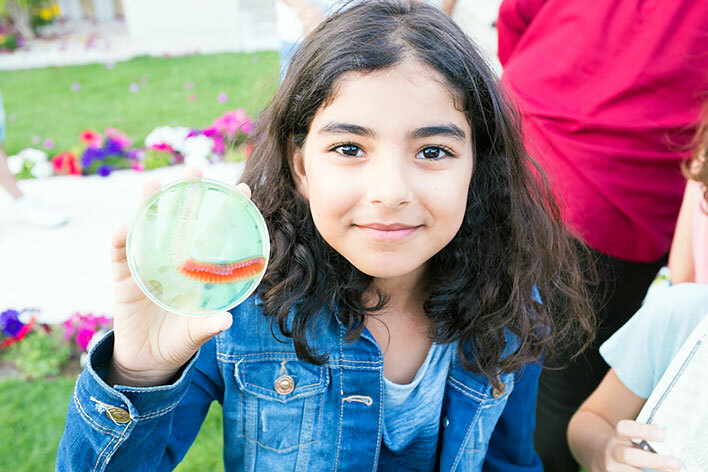 Book your next birthday party in Vancouver or the Lower Mainland with Science Made Fun BC to have all the perfect elements of birthday party fun!